The great Sean Gentille of the Pittsburgh Post-Gazette has alerted us to the existence of a highly enjoyable video that can be found on the Twitter feed of former Steelers and Cardinals running back Rashard Mendenhall. 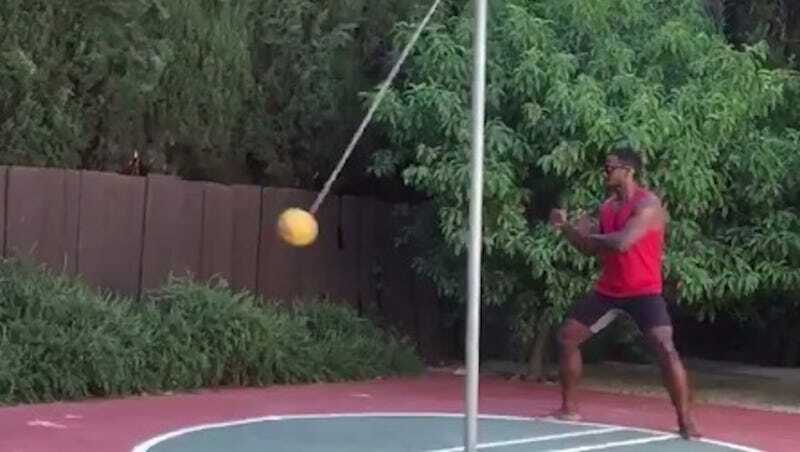 Is watching Rashard Mendenhall do karate on a tether ball a good use of one minute and 12 seconds? That’s between you and your god, but I certainly enjoyed myself. Stefan, relax. He’s just doing some karate.